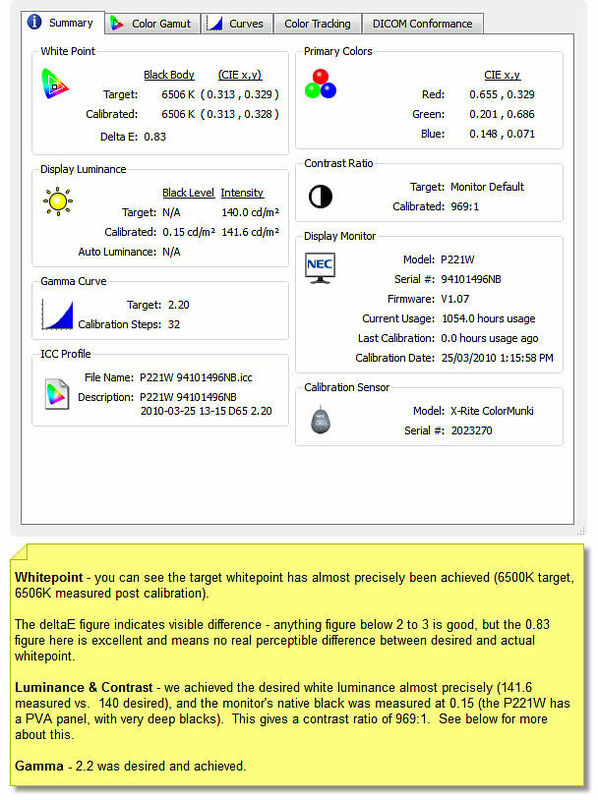 This articles describes the how and why of calibrating an NEC monitor with SpectraView 2. In particular it discusses defining your own custom targets to get much better screen to print matches than can be achieved with the default settings! 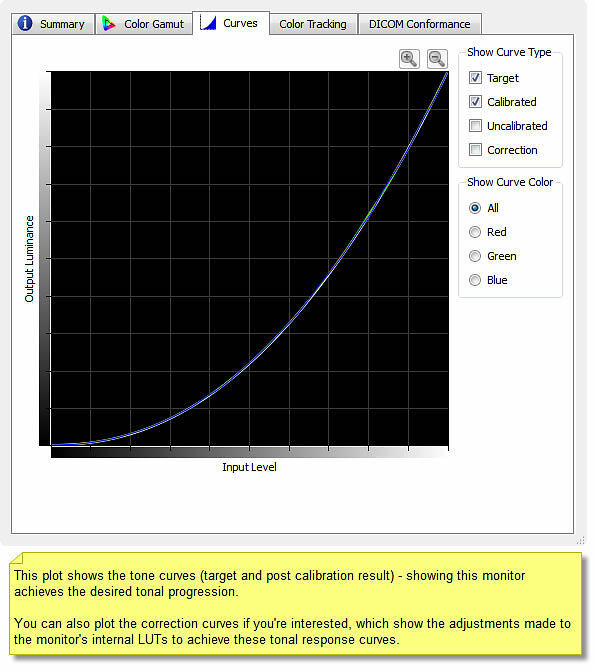 It is the control over contrast discussed here that is the fundamental thing that sets direct hardware calibration apart from other forms of calibration and is critically important in achieving really excellent screen to print matches. Note: Always download the latest version of SpectraView 2 from here and install that over the version that come on your CS. You should also connect a USB cable to your computer and your NEC monitor if it is a mdoel with a USB connection, or SV2 may not recognise your monitor. NEC SpectraView II (hereafter referred to as SV2) comes with an excellent manual (available to download here). We suggest you take the time to read it thoroughly as it contains a lot of useful information. This guide is designed to quickly take you through the basics of doing a calibration, and to identify the key points from an image makers perspective. While not essential, we suggest you start by installing the NEC monitor drivers for Windows using this tool - NEC Display Driver Installer. 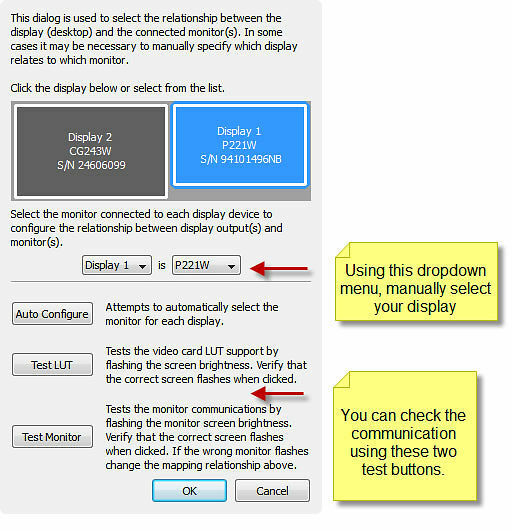 Make sure your NEC monitor is plugged in during this entire process, with the digital (DVI or DisplayPort) connection (read about connections here) and that you also have the USB cable connected if using a P/PA series monitor. We also strongly suggest updating your video card drivers to the latest stable release from the chipset makers before beginning this process - the default drivers included with Windows often do not work. Links to driver downloads for: ATI, NVIDIA, and Intel. If you have a Spyder/Eye One already installed on your system, then we suggest you uninstall the software that came with that device - SV2 is a much better software and is made specifically for your NEC monitor. 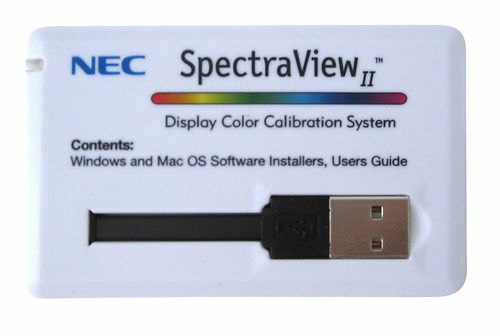 If you have bought a new calibrator with your copy of SpectraView 2, then you do not need to install the software that came with your calibrator - just install SV2 as it has it's own drivers. Next, insert the SV2 CD and you should get the following window up on your screen (if not, browse to your disc drive and click 'autorun.exe'). Click Install to get started. During the installer process, it will identify your graphics card and your monitor (make sure your NEC monitor is plugged in). You may get pop up windows as drivers for the various compatible calibrators are installed - just say yes to these questions. Now that it is installed, you will find the software (and link to the user guide PDF) - under Start -> All Programs -> NEC Display Solutions -> SpectraView 2. We suggest you also take this opportunity to read the included ReadMe file as it has extensive, useful notes that may apply to your system. This is the first thing to look at if you have any connection/communication issues with your monitor or calibrator. 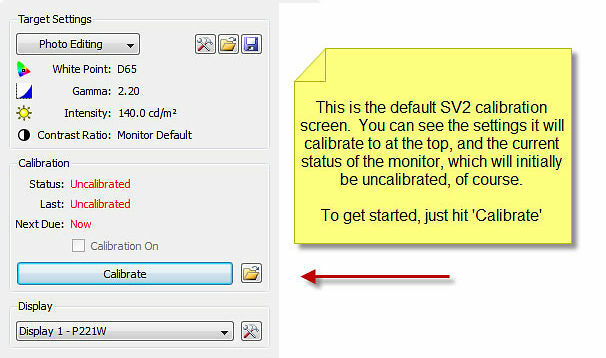 Restart your computer now so that any newly installed monitor/calibrator drivers are found, then fire up your new SV2 software to move on to the next stage! Note: If you are using an NEC PA Series monitor you must download the latest version of SpectraView 2 here and install that, and plug in a USB cable to your computer and your NEC PA monitor, or SV2 will never recognise your monitor. Before you start, please turn off all screen savers/ and monitor power management (if the monitor turns itself off during the process, it tends to have negative side effects on the quality of your calibration). As the software fires up, you will see a window appear as it attempts to detect your hardware. If SV2 fails to detect your monitor (as it did mine initially), then don't panic - there is a way to get it to manually detect your screen. This can occur because of complex relationships between the OS, video cards and monitor drivers. But it's usually very easy to solve. Also, this can be caused by old video card drivers - make sure you are using the latest stable version as mentioned above. Go to Edit -> Display Configuration and you should be able to manually choose your monitor if the automatic detection did not work. You should now be ready to calibrate. 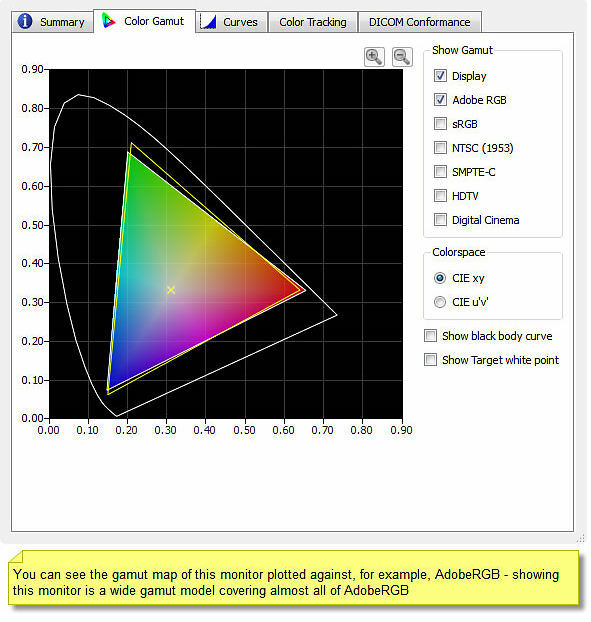 Also, if SpectraView 2 does not recognise your calibrator, and you are using a ColorMunki, you can solve this by following this article. If you are not using a Munki, general notes about calibrator drivers issues are here, Equally applicable to SV2. But 99.9% of the time your calibrator will just be detected and away you go. SV2 includes sensible default options, so you can initially use those as a starting point. It will, by default, calibrate your monitor to a whitepoint of 6500K, a gamma of 2.2 and a luminosity of 140, with maximum contrast. This is in fact the way most industry organisation like the ACMP and AIPP recommend calibrating your monitor, so it's a good starting point. We'll talk about refining your calibration for specific circumstances below, but for now let's just do a basic calibration. Away we go. 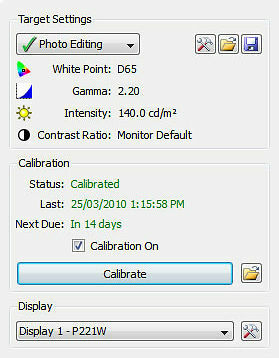 You may get some initial instructions about initialising you calibrator, so follow those (e.g. with the ColorMunki, the device must be dialed into the calibrate position first, calibrated, then put into the monitor measuring position). Mount your calibrator as instructed (make sure you have removed any suction cups if you calibrator came with them as they don't play nicely with LCD screens!) and then hit 'continue'. Fully automatic calibration will now take place. First, the monitor will physically adjust itself in front of your eyes, then various measurements of white, black, and primary colours will be made. Just sit back and enjoy the show (or go make a cup of tea!) - the hard work is being done for you now, fully automatically. (If you have more than one monitor you can continue working on the other screen while this occurs). The results screens give all sorts of useful information. As you can see, the results with direct hardware calibration are excellent even with a relatively humble monitor like the NEC P221W. And one of the best things about it is that you don't have to touch one button on the screen during this entire process. If you just want to calibrate to the standard the AIPP/ACMP etc suggest, then you're finished and you needn't do anything else. 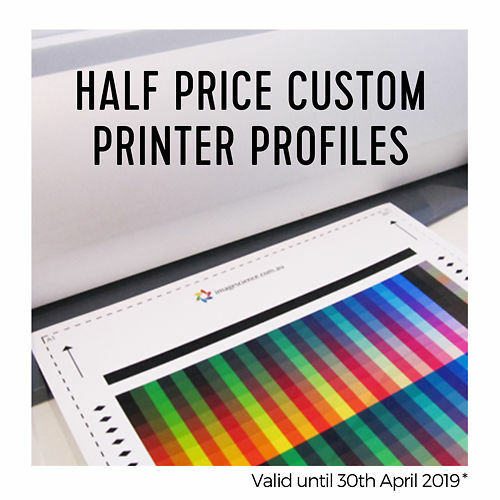 However, there is a lot more you can do if you want to get the best possible screen to print matching going on with your own work. (You can ignore all the reference to DICOM which are only relevant in the medical display field). The default settings are just that - a good starting point. But the beauty of these monitors is their flexibility in calibration to other, more accurate targets for specific workflows. As an example, consider the scenario of doing your own fine art inkjet prints on a beautiful cotton rag paper using an Epson 3880. 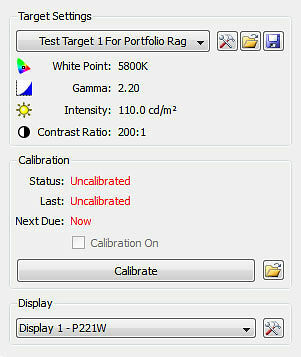 The fundamental mismatch we have between our default calibration and our example scenario is contrast. The monitor calibrated to a contrast ratio of 969:1 and this is WAY above the contrast ratio of actual prints, (a matte fine art paper is more like 160:1), or less than one fifth of monitor's native contrast. In practice, this means we'll always struggle to achieve a good screen to print match if we just use the default recommended calibration - we'll always be looking at a very high contrast, but printing to a low contrast medium, and the eye finds this very difficult to deal with. We could use Photoshops advanced soft proofing to try and compensate for this (i.e. 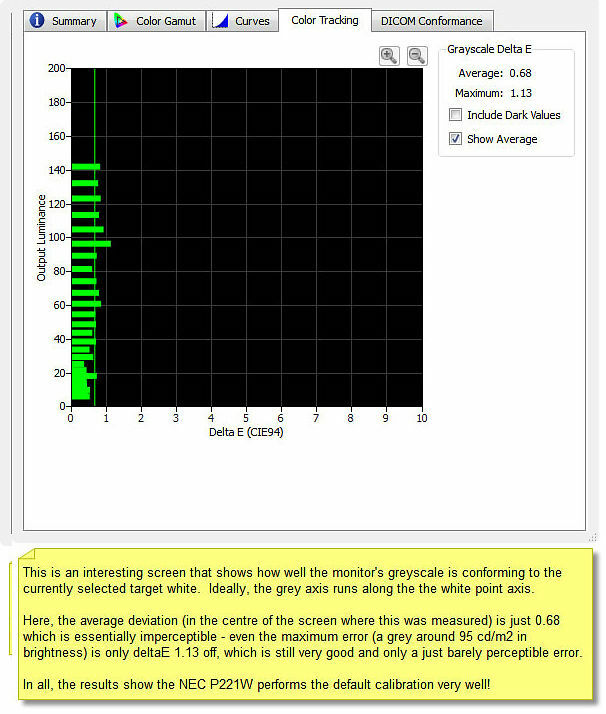 simulate the paper colour and ink black in View->Proof Setup) - but anyone who has used this knows that it's not very accurate at all. A much better way is to use the monitor's flexible hardware to achieve a lower contrast display, so that while we're editing our image we're making all our decisions on a display that is fundamentally much more like the final print. To achieve this, we need to define a new calibration target. We do this by going to Edit -> Calibration Target. The values I have chosen here are based on a lot of experience. And they represent good starting points for fine art matte papers. In time, you can refine these values to make an even better match for your scenario/papers, or you can explore, in particular, the white point measurement tool (found by hitting the Edit button above). That allows you to visually measure and match a white point to your paper - very impressive stuff! In this example, I have chosen a somewhat warmer whitepoint - reflecting the warm nature of the paper, and a lower maximum brightness - I find 140 simply too hot in general for this sort of work, it always gives me the classic 'screen brighter than display' problem. I have a contrast level of 200:1 as I want my screen to be just a bit higher in contrast that my final prints - this is to make sure I don't end up in the scenario of a monitor with less contrast than the prints. So now I just hit calibrate again and sit back and let SV2 work it's magic! You can see the desired whitepoint and gamma have been achieved, and most importantly you can see the monitor's contrast ratio has been drastically reduced to 190:1 - a far better match to the contrast of actual prints! Now, you can define as many of these custom targets as you like - for example, you might use 120, 6000K, 2.2 and 250:1 contrast for prints on glossier papers. You can then even switch between your calibration targets (i.e. paper types) at any time by simply choosing a different target in the main SpectraView 2 window - meaning you can dynamically adjust your monitor in a real physical sense, with one click, for all your different editing and general monitor usage scenarios. 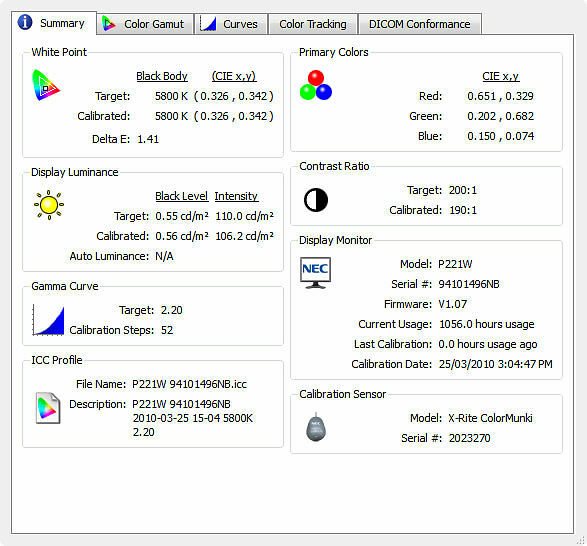 From here, you should consult the SpectraView 2 manual for information and instruction on all the other things you can do with this software, including spot colour measurement, ambient light measurement, test patterns, control over the power LED brightness on your monitor etc etc. It's really is remarkably good software, pretty much unmatched in the industry (except by ColorNavigator from Eizo, but even that is in some ways not quite as slick as this!). You might want to read why you should calibrate multiple times and our article about hardware calibration targets to use as starting points as well. 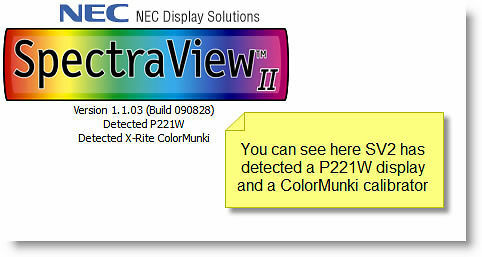 For further information regarding Spectraview II, take a look at the FAQ section on the NEC website. I just received my first test prints from a new series that I'm currently working on and just wanted to drop you a quick e-mail to say thank you for such a beautiful printing job. I'm finally using a wide gamut monitor to edit on and it is such a joy to at last be able to reproduce such accurate colour prints. The prints are absolutely flawless, and I appreciate the swift print job and postage.